Why list it, when you can sell it? Over $50 Billion dollars in real estate is sold in the United States at auctions each year. We apply the auction method to the sale of valuable assets such as Firearms,Coins, and Vehicles. Call today to learn more about the auction method. Let Linkous Auction Group open doors for you! Don’t put a limit on what your property will sell for. Let competitive bidding drive the market value. Bringing bidders from around the world to your auction. With our mobile bidding app, and on-line bidding you can bid on our auctions from anywhere you need to be. Linkous Auction Group is dedicated to providing a full range of auction services with an emphasis on Firearms and Real Estate. Our goal is to give those who are considering the sale of property an option for a time-defined sale, at the truest open market price, while giving the buyer a no-hassle buying experience! We will create a marketing program that will get your property sold within an industry leading 4-6 week timeframe. Linkous Auction Group is here to assist you with your unique buying and selling requirements, concerns, and goals. We are committed to staying on top of the changing markets, and using a technology motivated marketing program to help sellers exceed their goals! We truly believe in the auction process and although we specialize in Firearms and Real Estate, we also apply the auction method to the sale of all valuable assets such as Vehicles and Coins. 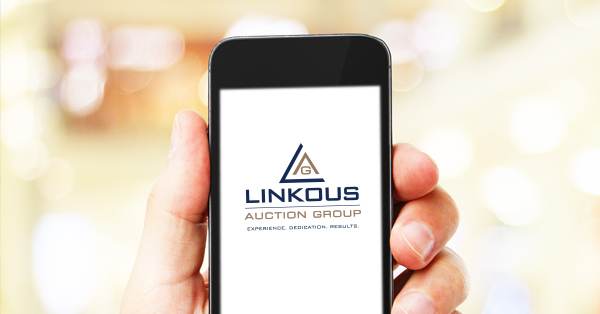 Whether you are liquidating Fireams, Real Estate, or other Valuable Assets, let Linkous Auction Group show you the auction advantage!